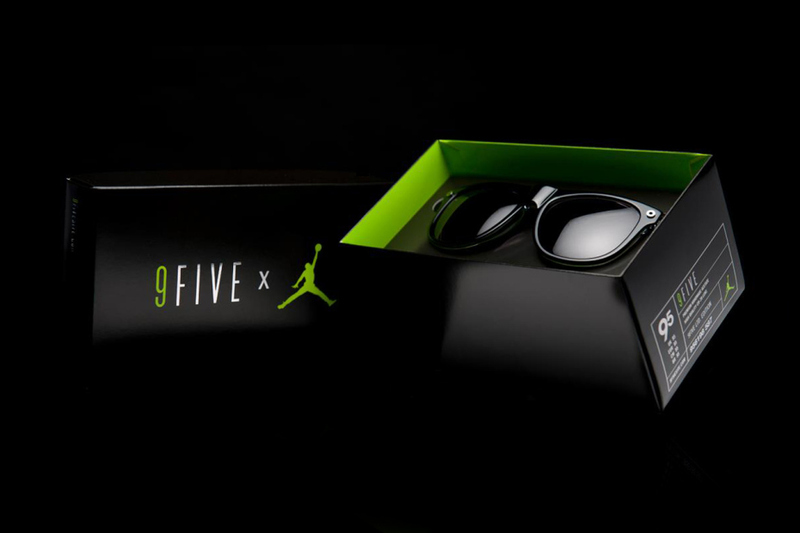 Celebrating the impending launch of the Air Jordan XX8, Jordan Brand has joined forces with 9FIVE to introduce limited edition sunglasses finished in the shoe’s introductory black and electric green colorway. 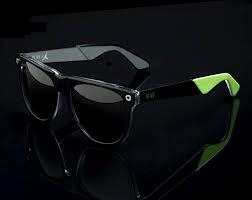 The acetate black frame is handmade and comes with a choice of black chrome or gloss metallic temples, with electric green temple tips providing a bright pop of color. 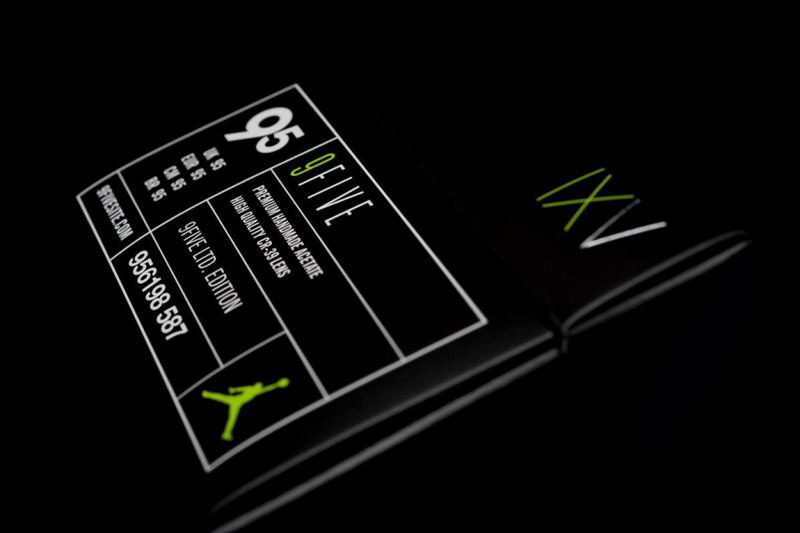 9FIVE x Jordan Brand shoe box-style packaging is the proverbial icing on the cake. Made in a production run limited to just 1,000 pairs, the sunglasses drop tomorrow at select 9FIVE retailers, as well as online. This entry was posted in Fashion and tagged 9FIVE, air, brand, eyewear, Frames, jordan, xx8. Bookmark the permalink. hello there and thank you for your information – I’ve definitely picked up anything new from right here. I did however expertise some technical points using this site, as I experienced to reload the site many times previous to I could get it to load correctly. I had been wondering if your hosting is OK? Not that I am complaining, but slow loading instances times will often affect your placement in google and could damage your high quality score if advertising and marketing with Adwords. Anyway I am adding this RSS to my email and could look out for a lot more of your respective intriguing content. Ensure that you update this again soon.